Give your guests an experience they’ll remember while giving yourself the ease of all-inclusive entertainment packages. Our entertainment packages bundle our most popular services that appeal to guests of all ages and will ensure a rocking event for everyone! Plus, you’re guaranteed the experienced DJs, high-quality lighting and state-of-the-art photo booths that you expect from Premier. The perfect starting point for your party of a lifetime. Dance the night away with one of our professional DJs or say cheese with your friends in our state-of-the-art photobooth. Our most popular entertainment package, we have the event soundtrack covered by one of our professional DJs. Your guests will have a blast with our state-of-the-art photo booth. 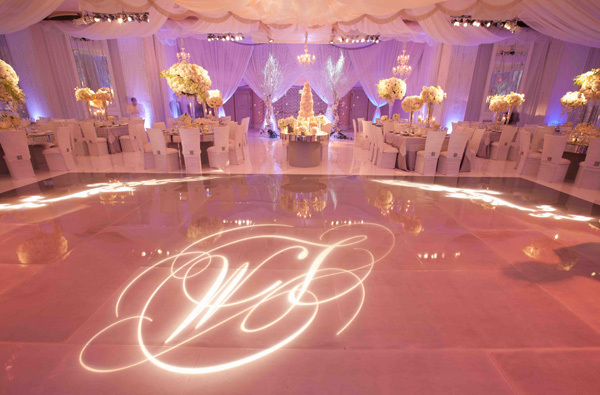 And we’ll put a spotlight on our event space with your choice of custom monogram or accent uplighting in any color. 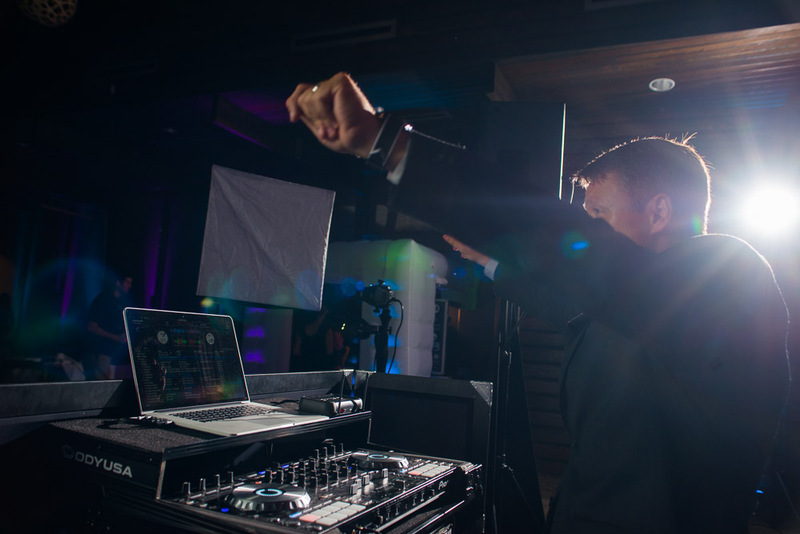 Upgrade to our Ultimate Package and your guests will dance the night away to your personal DJ . They will love the upgraded LED or green screen backdrop for your photo booth as well as included photo prints. Plus, we include accent uplights and a custom monogram to transform your event space into truly the party of a lifetime! Packages start at $995. Download of full pricing and schedule a call with our team to get started. Looking for something else? We can customize our services for your event. Schedule a call to learn more. We’ll supply a top notch DJ Services to handle any event. With our well-seasoned and diverse team of DJs, we can accompany any venue or event. Find out how our decades of experience can make your event unforgettable. DJ & MC Services includes music selection, turntable, speakers, microphones, and professional MC. Our photobooths are fast, fun, and convenient. Choose the backdrop that fits your event and package. Choose from our standard curtain wall (black, white, silver or gold sequins), LED inflatable booth (wall, cube, or octagon), or our green screen backdrop, which allows you to digitally impose any background image you want! All photobooths include professional attendant and social sharing. Upgrade your package to include photo prints your guests can take home, and our top-notch props! You design it, we’ll turn it into a stunning spotlight unique to you and your event. Select one of our 12 monogram font options to custom create your own monogram. Light up the dance floor or decorate the wall. 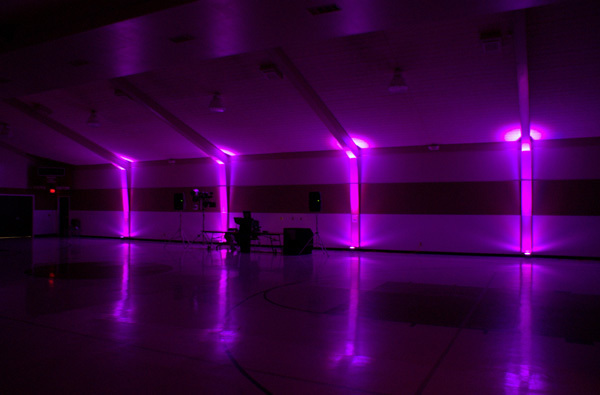 It’s your event; you decide where to put the emphasis when it comes to uplighting. We will work with you to develop the most exceptional lighting positions for your venue. Say goodbye to the big, bulky lights of yesterday. Our LED style fixtures are sleek and modern to reinforce an elegant feel, in a wide variety of color selections. Our photo booths are fast, fun, and convenient. Choose the backdrop that fits your event and package. Choose from our standard curtain wall (black, white, silver or gold sequins), LED inflatable booth (wall, cube, or octagon), or our green screen backdrop, which allows you to digitally impose any background image you want! All photo booths include professional attendant and social sharing. Upgrade your package to include photo prints your guests can take home, and our top-notch props!